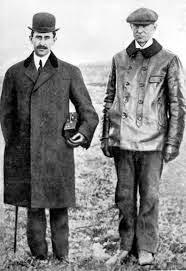 The Wright brothers are respectfully recognized as two of the greatest engineers of all time, and rightly so. Wilber and Orville Wright are deemed the inventors of the first successful airplane, as well as the first successful flight, which took place on December 17th, 1903, and demonstrated it publicly in 1908. When the brothers were boys, it is said that their father gave them a paper helicopter toy, and this is what set in motion their interest in flying. They are most famous for their creation of the three-axis control. The three-axis control enabled the pilot of the aircraft to maintain control and equilibrium. It is also said that the brothers thought of the three-axis design from the bicycle design! There are some people who attribute the first flight to others and not the Wright brothers, and this has caused some controversy over the years. Whatever the truth may be, it is no doubt that the Wright brothers inventions and innovative thinking impacted the world very greatly, and helped make it what it is today.